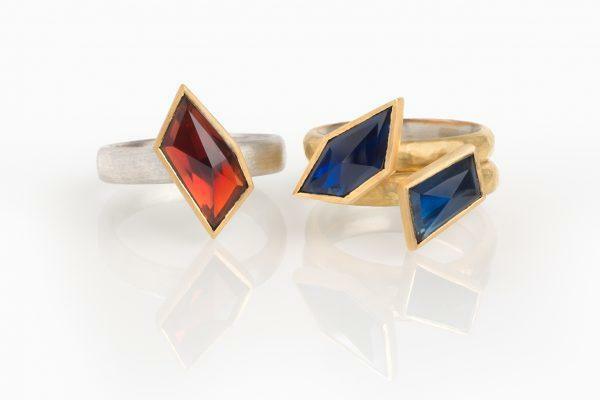 Mark’s inspiration for jewellery came from early contact with gemstones in Australia, where his father mined sapphires. 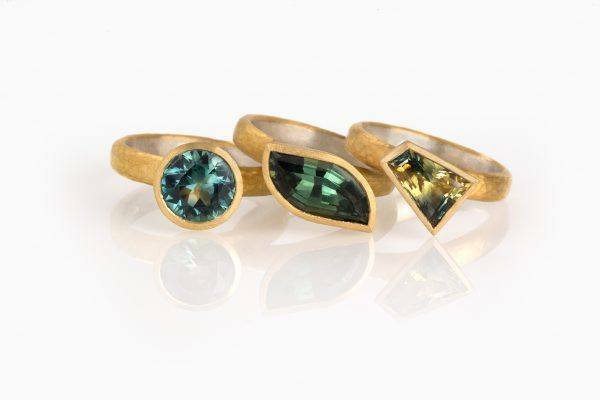 Mark learnt to cut and polish these stones spending six years as a gem cutter and later studying jewellery design and making in Sydney. He continues to visit the sapphire mines where he meets the miners and cutters, giving him unique access to rare and beautiful sapphires. 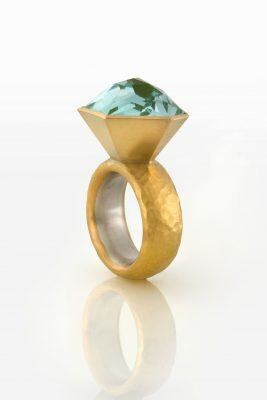 Bold lustrous stones such as aquamarines, tourmalines and moonstones are expertly cut to accentuate their natural beauty. 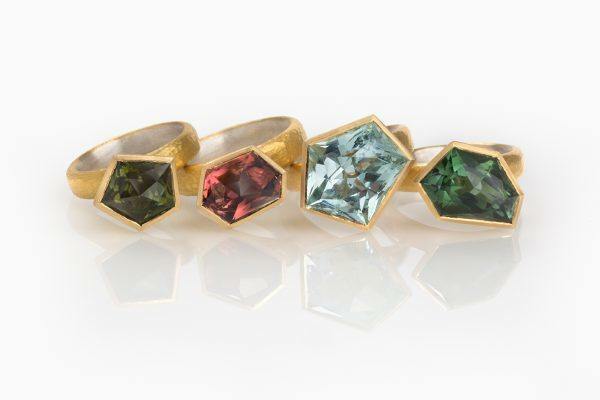 Distinctive sapphires in shades of blue, green and yellow come to life nestled amongst 18ct gold and silver. 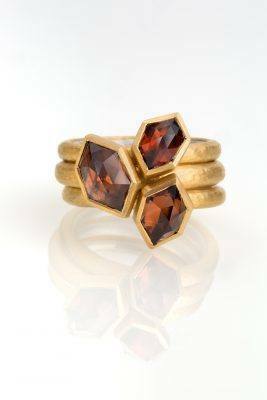 Using his metalworking and gem-setting skills he creates a constantly evolving collection, attracting collectors and those who appreciate fine craftsmanship and design.